This 24VAC relay is a replacement in many Rock-Ola and Wurlitzer jukeboxes from the 60s and 70s, Rock-Ola wallboxes 506 and 507 and stepper by Rowe. 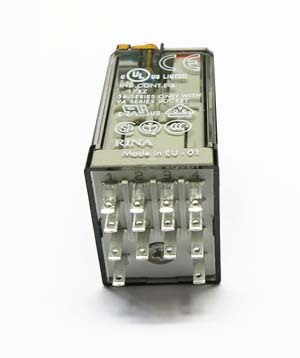 The colour of the original relay is red. 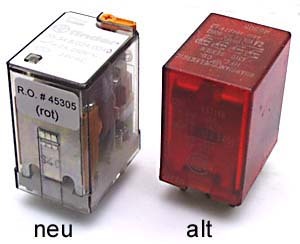 The picture shows a new (left) and an original (right) red Rock-Ola and Wurlitzer relay for illustration.